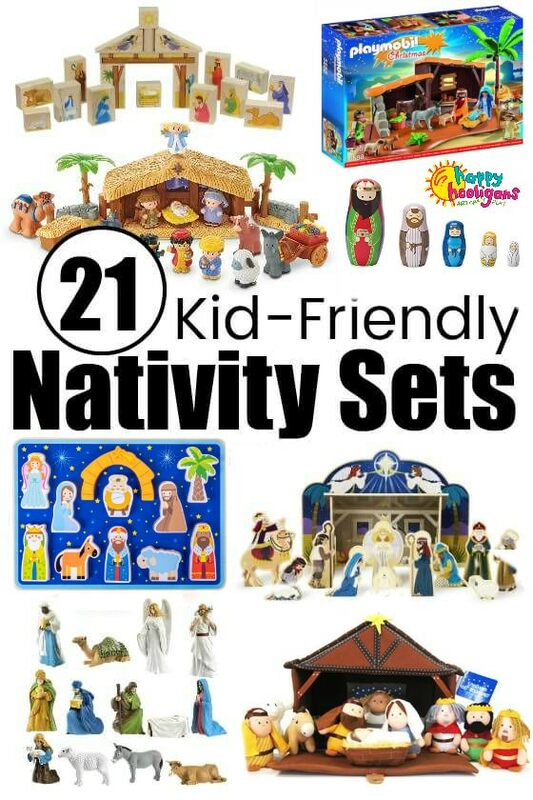 21 Fun Nativity Sets for Kids to play with! These engaging and fun nativity sets are made for play and will keep your kids entertained for hours during the days and weeks leading up to Christmas. My own kids and my daycare kids have always loved nativity sets. Most kids do find them fascinating, especially when the nativity pieces are moveable, and Mary and Joseph and the shepherds and kings can be repositioned around the manger to create various new scenes in the stable. Unfortunately, many nativity sets are breakable, and therefore, off-limits for kids which is a shame because a nativity set can provide hours of imaginative play, and a fun way for kids to learn about the nativity story and true meaning of Christmas. Thankfully, these days, there are many hands-on and interactive nativity sets designed with kids in mind. 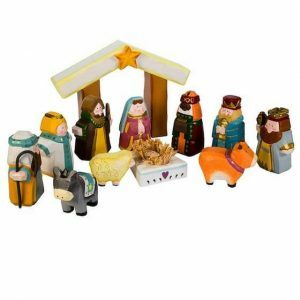 These nativity sets are meant to be played with so your kids can learn about the story of Jesus’ birth through play. I’m thrilled to share some these terrific kid-friendly nativity sets with you today! In this collection, you’ll find nativity toys by brands that you know and love, as well as traditional and non-traditional nativity sets and activities. And they’re all kid-friendly. 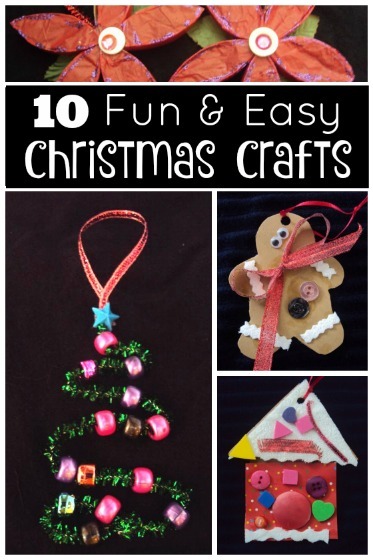 In the list below, you’ll find nativity puzzles, nativity magnets and window clings, nativity sets that kids can build, felt nativity sets, nativity nesting dolls, and nativity quiet books and finger puppets. We’ve even found a nativity set that crafty kids can paint and decorate. All of these nativity sets will keep kids 2-10 entertained and learning throughout the Christmas season. 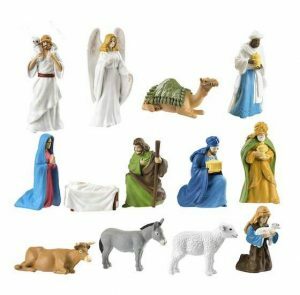 You can click on the links underneath the images or on the images themselves for more details or to purchase the these nativity sets on Amazon. Let’s start with some favourite and familiar kids’ brands. The Fisher Price Little People Nativity set is our favourite nativity toy for toddlers and preschoolers. It comes with the stable and accessories and 12 nativity figures. The star on the stable lights up and plays “Away in the Manger”. Some people like to give this nativity set to their kids as an advent calendar, piece-by-piece, one day at a time, starting with the stable and finishing with baby Jesus on Christmas morning. 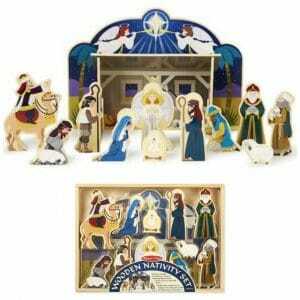 Additional pieces such as the 3 Wisemen set and the Lil’ Shepherd set can be purchased separately to add on to the original nativity set. This Melissa and Doug Nativity set is a beautiful beginner nativity set for young children. The characters and creche are solid and chunky, and the quality is great. 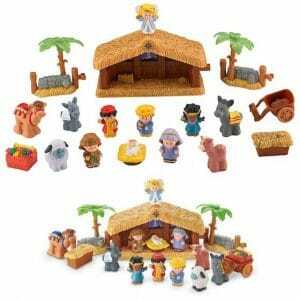 The set includes a re-telling of the bible story so children can act it out with the wooden figures. Bonus: the cradle in this set is two-sided. You can display it empty in the days leading up to Christmas, and on Christmas morning, you can turn it over to reveal baby Jesus in the manger. 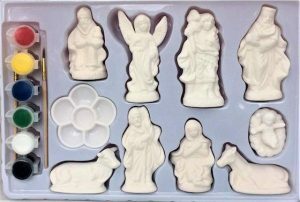 I was so thrilled to find out that Safari Ltd makes Nativity TOOBS! 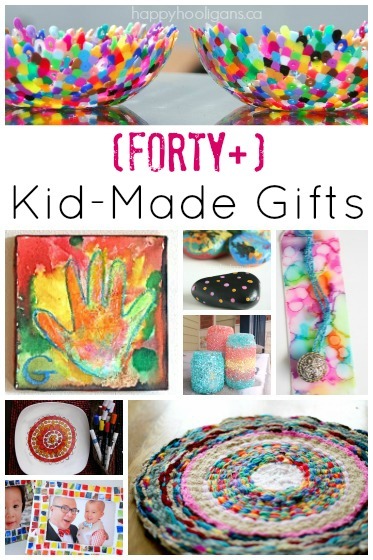 These well-made, durable pieces are perfect for sensory bins, homemade advent calendars, stocking stuffers and play. 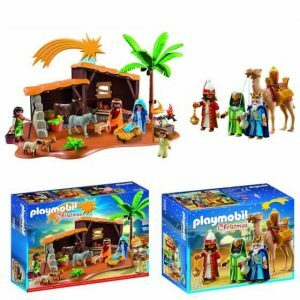 There are an assortment of terrific Playmobil nativity sets available for kids who love to build. I’ve pictured two above. The set on the left is the original stable and manger scene with and assortment of nativity characters and a lantern that lights up. The set on the right is the 3 Wise Kings set with Kings, camel, saddle, coins, chest and other assorted accessories. 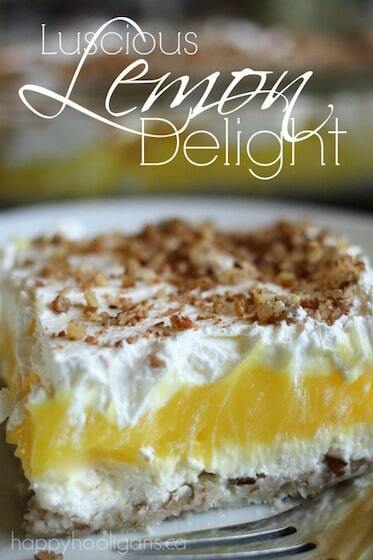 Additional sets can be found by clicking on the image above. Kids’ Ultimate Nativity Set by Nativity Bricks. If your kids are LEGO maniacs, they’ll love building their own nativity scenes with this nativity brick set. While it’s not LEGO brand, the quality is great, and the bricks are compatible with LEGO and other popular brands of building bricks. 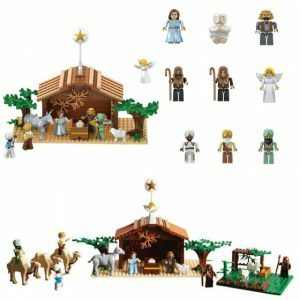 This nativity set contains 315 pieces and is recommended for ages 9+. 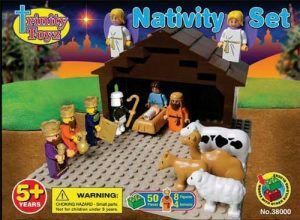 Much like the Nativity Bricks I mentioned above, this Trinity Toys nativity set is also made of high-quality plastic bricks that are compatible with LEGO and similar brands of building bricks. This particular nativity set is geared towards the 5+ and up crowd. These wooden nativity blocks serve as a wonderful beginner nativity set for babies and toddlers. 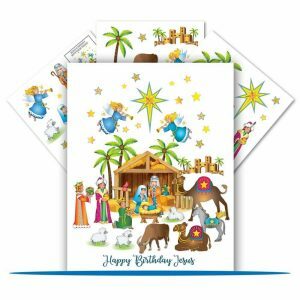 Each block has a nativity image printed on one side in non-toxic ink. The set is manufactured on American soil in Vermont, USA. 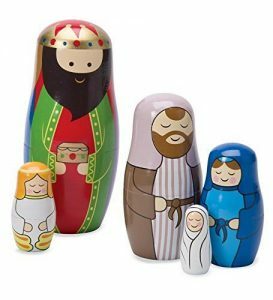 This 5-piece set of nativity nesting dolls is a cute way for young children to learn about the Christmas story while they learn about size, shape and spacial recognition. If you’re looking for a set of nativity nesting dolls in more subdued colours, this quality set by Bits and Pieces is beautiful. The largest doll in this set is 5.5 inches tall. Holiday Lane makes several nativity sets. Some are quite tiny, but this larger nativity scene with creche is just right for kids. The creche and characters are made of a ceramic type of material which can break if dropped or played with roughly. This set would be better suited to older children who will play gently while rearranging the characters in the creche. This wooden, hand painted nativity set is pricey, it’s a quality set that your family will treasure for years. 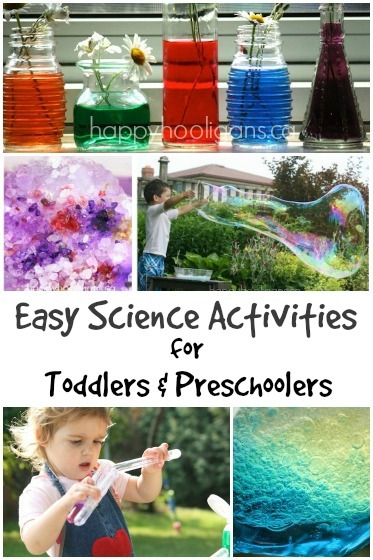 The large and light-weight pieces are perfect for toddlers and preschoolers to play with and explore. If your children love playing with magnets, this magnetic nativity scene will delight them. They’ll be able to recreate the nativity story over and over on the magnetic backdrop. With 24 pieces, this set could be used as an advent calendar, giving your child one magnet per day during your December count-down. To encourage learning, the significance of each nativity characters is described on the back of the magnetic backdrop. 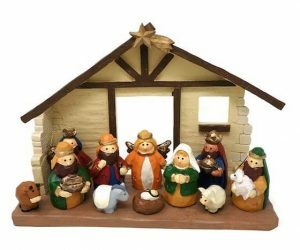 This 32-pc felt nativity set would be great for a Sunday School classroom, and has more than enough pieces to use for an advent activity at home. Every day your child can add to the nativity scene on your flannel board until Christmas morning when baby Jesus can be placed in the manger. This set does not include a flannel board, so you’ll require one of your own. 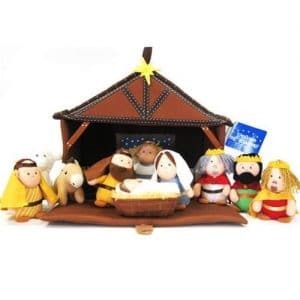 This fabric nativity set is just adorable and the design is so smart! The stable doubles as a storage case, and has a handle, so your child can tuck all of the nativity characters inside and carry it around. 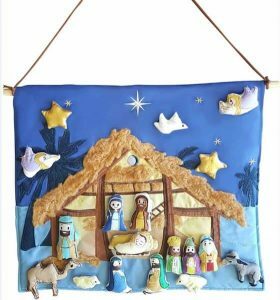 This fabric nativity set can be hung on a wall at home or in the classroom. The individual pieces fabric with velcro and can be moved around to create various new scenes in the creche. This plush nativity set has a pocket on the back for storing all of the nativity pieces. 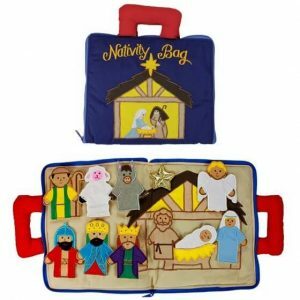 This precious nativity busy book for toddlers is perfect for quiet time, car rides, and waiting rooms. Each character is a finger puppet, and the book has a zipper closing so all of the characters can be stored inside when you’re on the go. 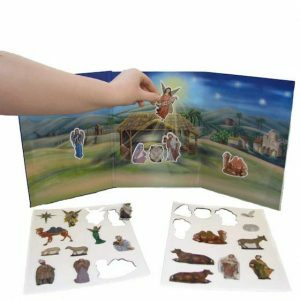 This wooden nativity shape puzzle is a wonderful way to introduce young children to nativity story. The bright and colourful, chunky pieces will help to develop fine-motor skills and critical thinking. 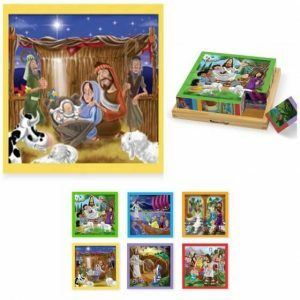 This chunky nativity cube puzzle by Melissa and Doug is 6 puzzles in one. 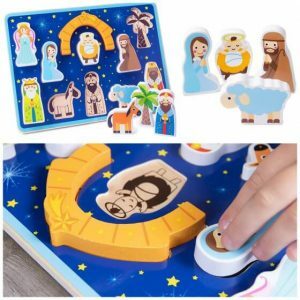 One side of the puzzle features a nativity scene, while the 5 other sides feature popular Bible stories that children love. With this 40-Pc set of nativity peel and stick window clings, your kids will be able to create and recreate nativity scenes on a door, mirror or window all throughout the holiday season. Crafty and creative kids will enjoy decorating the paintable nativity figures in this ceramic nativity set. The set includes 9 figures, two paint brushes and 6 paint pots. 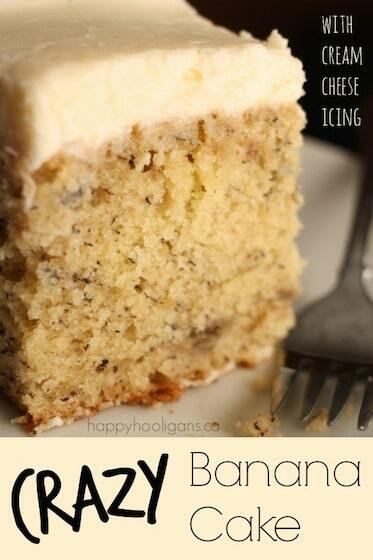 This would be a fun holiday activity for the whole family to do together. And there you have it! 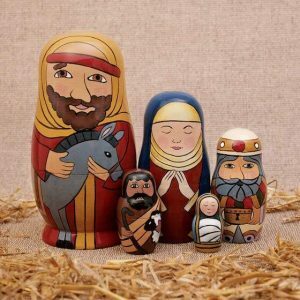 21 fabulous nativity sets and activities that will keep your kids happy and learning during the upcoming holiday season. These sets will be enjoyed by your family year after year, and will allow your children to discover the true meaning of Christmas with kid-friendly nativity pieces that are meant to be touched and enjoyed. How about a re-useable advent calendar for your family? If you’re looking for quality advent calendars that can be played with and enjoyed year after year, we have 17 Awesome Advent Calendars for kids right here!